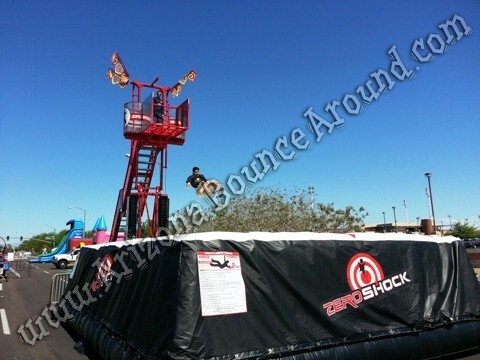 Our new free fall stunt jumping air bag ride comes complete with mobile jumping tower and inflatable Zero Shock air bag system as well as the staff to operate the stunt jumping. 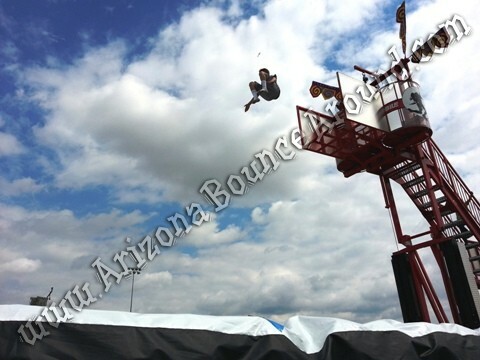 Producing a FreeFall Stunt Jump event with a Zero Shock air bag system is the best way to captivate any crowd! 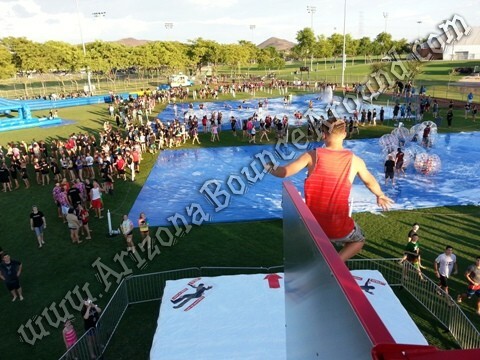 If you want to draw a crowd at your event them you need to rent this attraction. 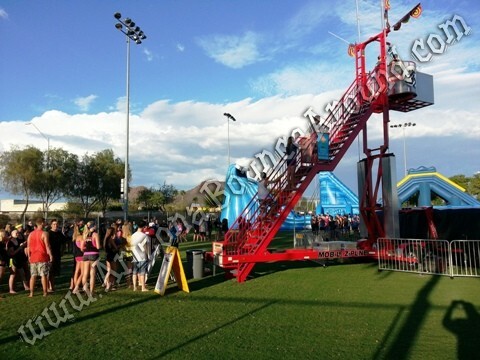 All carnival rides need to be inspected and are a requirement by the state of Colorado so make sure when comparing carnival ride rental companies that the company you choose has current inspections. All of our carnival rides have state inspections. It’s was designed for the special event industry and the general public. 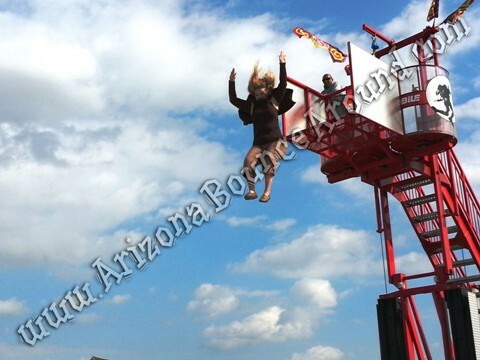 This stunt jumping attraction will get lots of participants waiting to jump off the platform just like a professional stunt man so be sure to watch all the videos on this page to see it in action. 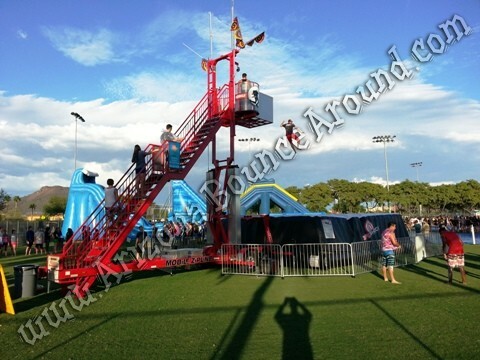 This mobile stunt jumping tower can handle large crowds of all age groups because it's not necessary to attach a safety harness to the jumper or remove your shoes. 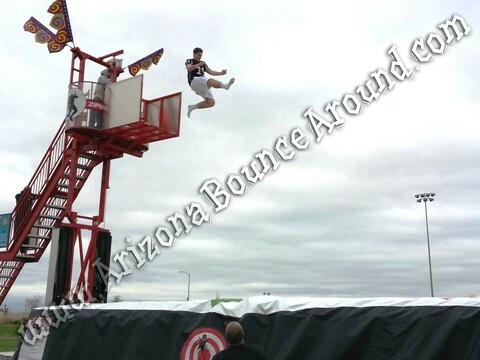 Simply climb the stunt jumping tower and jump off. The FreeFall experience is suitable for a wide range of participants from 5-75 years of age. Everyone can do it, and everyone will have a blast doing it! The designers took time to learn techniques from stunt professionals such as Steve Wolf from the Stunt Ranch in Texas. Steve and his team rate the bag as nothing less than AWESOME and the softest and safest air bags ever designed. 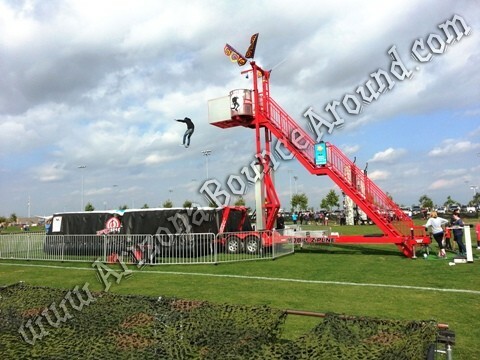 The FreeFall experience can be used with our Mobile Stunt Jump Tower or a Scissor Lift. 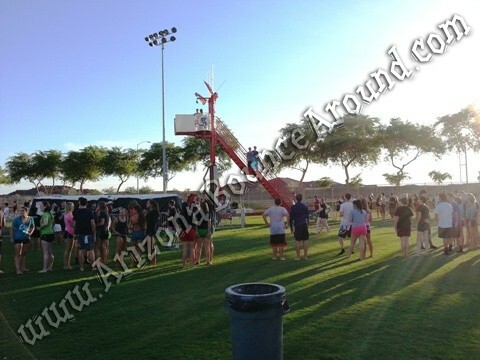 When you have space constraints and or don’t have the room to set up the Mobile Stunt Jump Tower, a scissor lift can be used making it perfect for indoor events at sports games or inside buildings. 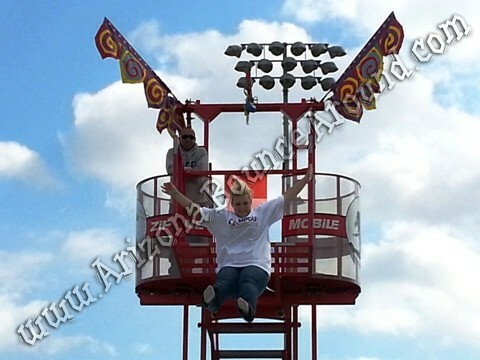 Scissor lifts can rise from 10′ for the younger kids up to nearly 30′ high for the adrenaline junkies. Just remember that we are professional event planners and can custom tailor this game to fit most any event so call, click or come by today. 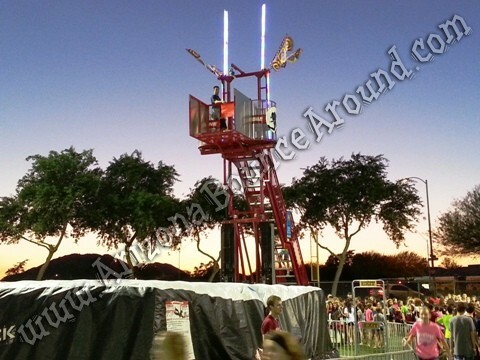 This extreme carnival ride comes complete with fence, LED carnival lights and staff and it will draw a huge crowd at any event so rent one today.